Choosing the right wedding colors is a big part of planning your special day.There are the flowers, bridesmaids dresses, shoes… but what about the bride’s dress? 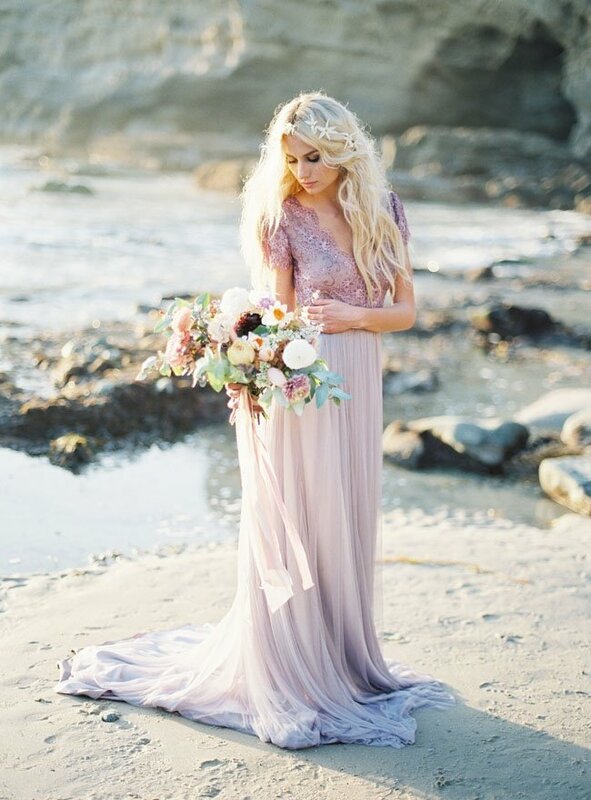 Usually that’s a no-brainer, but a trend that we are loving right now are brides in color! White may still be the go-to, but we wanted to share a few colored wedding dresses in hues we’re loving this summer (psst they are gorgeous!) So go ahead and take a peak, you may end up loving the idea of color, and realize you’re a “nontraditional” bride after all. Wearing a blue wedding dress is actually a late tradition of Ireland, representing purity. It may be rare to wear blue now, but in the past it was known to bring good luck. Blue is also known to be a peaceful color, representing tranquility and softness. Cinderella couldn’t have worn it better herself! 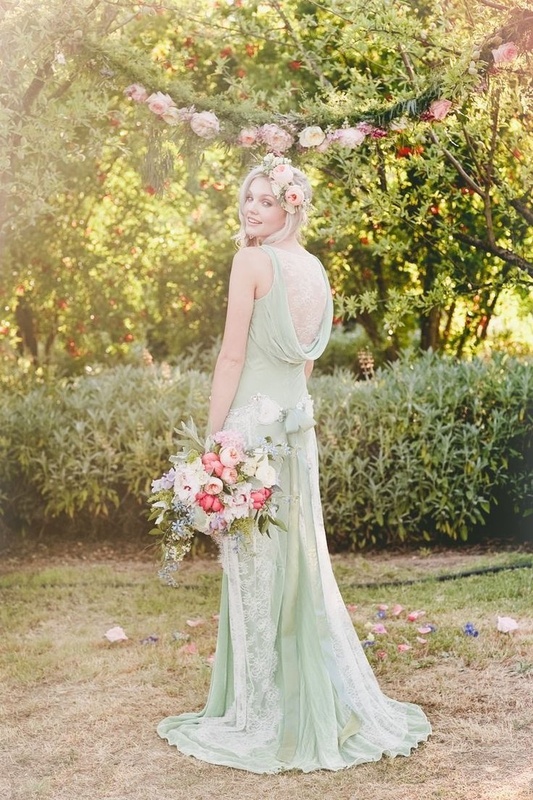 It’s said that a long time ago, it was good luck for brides in Italy to wear green, symbolizing fertility. Today we think of green as symbolizing many things including life, hope, renewal, and unity. And did you know, those who favor the color green are said to be compassionate not only towards themselves but all others as well? 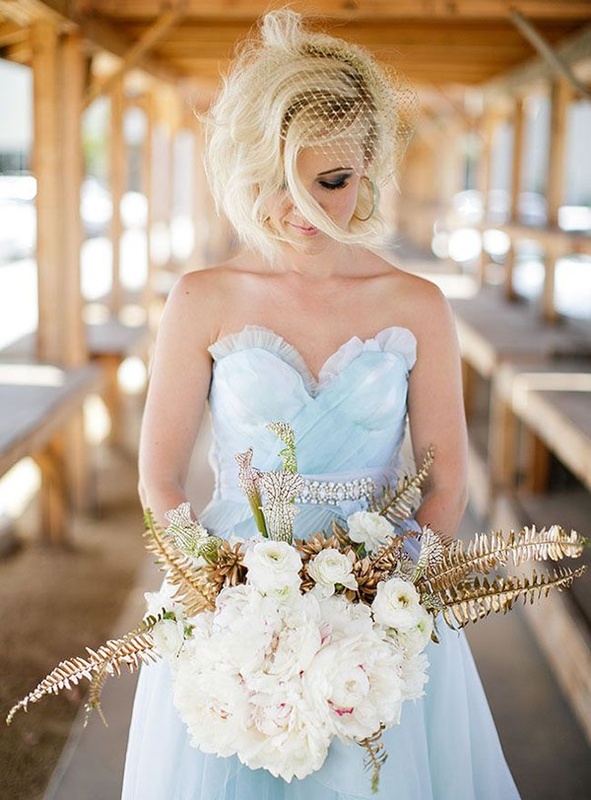 We love the refreshing mint color of this dress. Purple is known to signify strength, fantasy, and royalty. The purple hue we’re loving this summer though – lavender. It’s so feminine and pretty, perfect for a truly romantic bride. Not to mention how great it looks in a beach wedding setting. 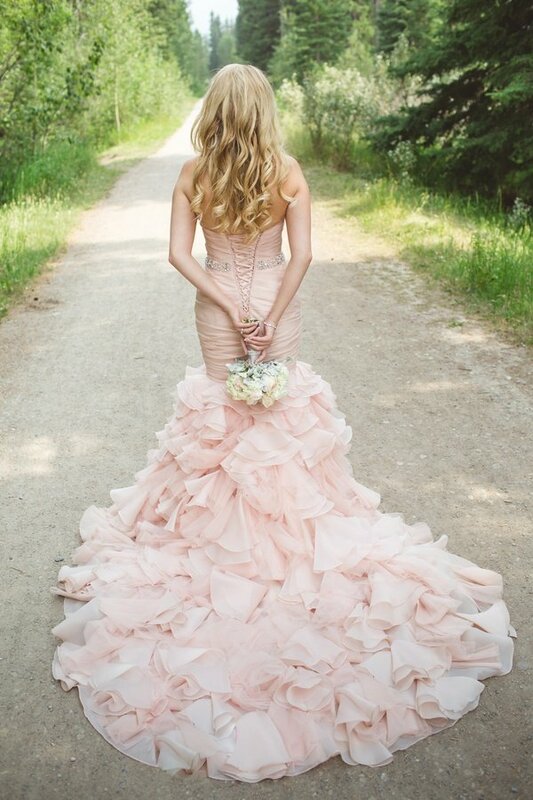 A wedding dress in a shade of pink is perfect for the ultimate feminine bride. In fact, pink symbolizes femininity and love, and those who favor pink are said to be kind and generous! We love how this blush colored dress looks warm and sensual, yet soft. And the ruffled bottom is so pretty! Yellow is generally known as a color of happiness, energy and creativity. 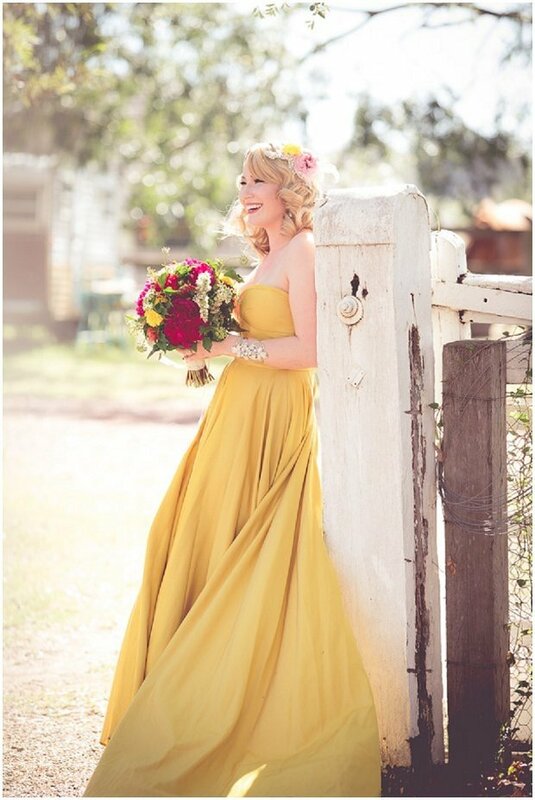 A bride who decides to wear yellow is also said to have a good sense of humor and wisdom.We love yellow especially for summer time, or even versions of yellow like ivory and gold. She looks so bright and happy! If you love the idea of a colored dress, we say go for it! In the end, it’s all about how you want to look and feel on your special day, no matter what “tradition” says.